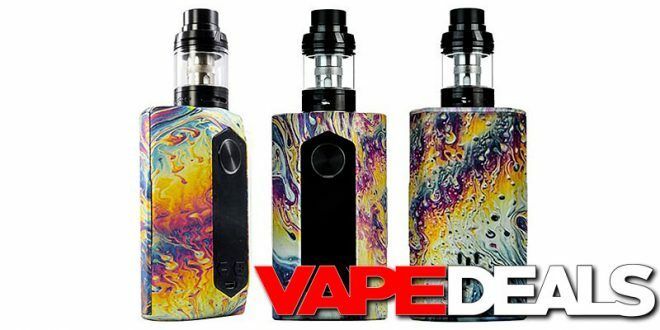 Looking for a dual-2×700 box mod? The Geek Vape Blade 235w might be a good one to add to your list. It’s been on the market for a few months now, so the prices are finally starting to go down. You can pick up the mod for $39.95 or the starter kit for $42.50 from a US vendor. Or, if you don’t mind waiting on overseas shipping, Efun is selling the full Geek Vape Blade Starter Kit for $39.95. Please note that you will need to log into your account and apply coupon code “WC8F” at checkout to get the reduced price.